What a beautiful day today ended being. We ended up taking the boys to the park and then stopped for some ice cream. 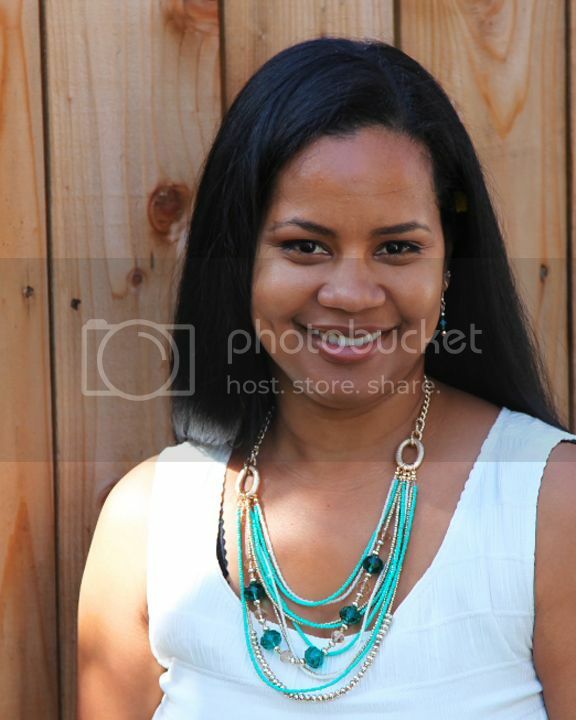 I had to retake the photos several times though, since I am trying out some new backgrounds for picture taking. I love the white backgrounds, but I want something new. So anyways...Here is the card I made using the above picture inspiration. I love how this all came together so well. The patterned paper is from Glitz: Happy Travels. Check out the shaker box. 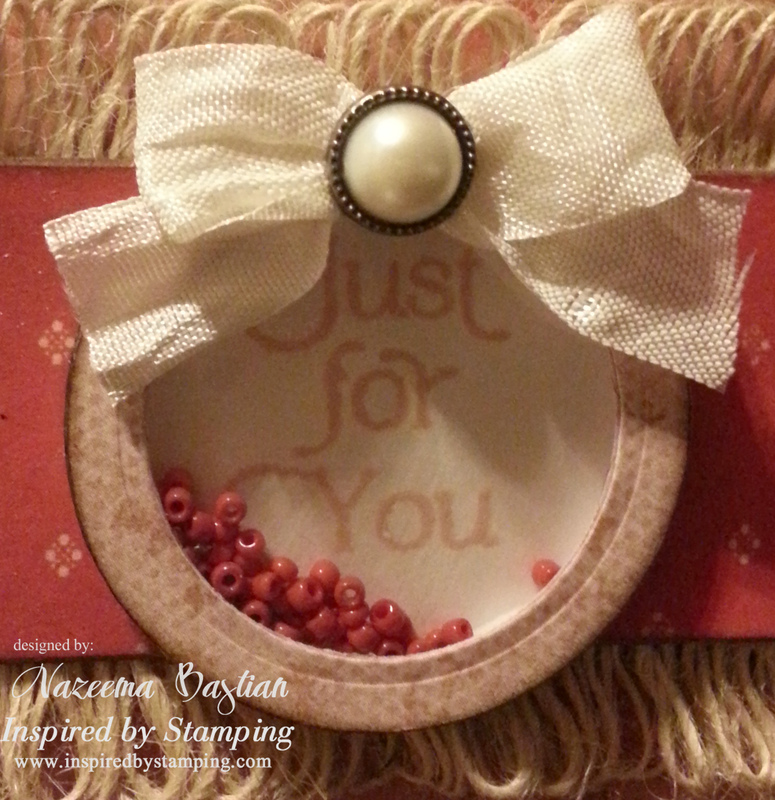 I used the sentiment and the dotted circle from CUTE CIRCLES. I used my spellbinders to cut out the circles. Then I stamped the sentiment on cream cardstock, with ColorBox Chalk: Toffee. Added foam around the circle, to create the separation I need. Added a few beads from my stash, placed the acetate circle cut out on top. Added a seam binding bow and a pearl brad to finish it off. Please upload your card/project to your blog or online gallery. Leave a link to your project using the linky widget at the bottom of this post. When uploading to online galleries please add IBSIC #45 to your post. Very pretty! That twine adds so much interest and texture, love it! Gorgeous your card. Thanks for joining in NMWC. This is stunning. I really love the colours, the gorgeous card and such a wonderful design. 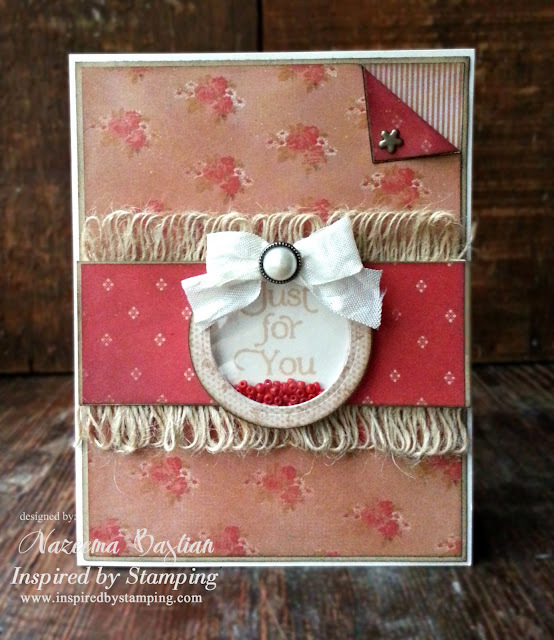 What a gorgeous detailed card -- love what you did with the twine! That shaker box is amazing! So creative! Love that shaker box...how cool! Lovely card! I love everything about this card!!! How did you get the twine so perfectly on there? Beautiful design! 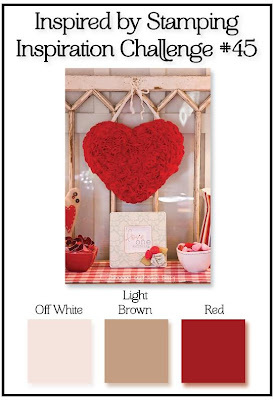 Oh, I love the jute twine. I would certainly love to find some. The turned down tab looks so fun. Love your shaker box..fab. Calypso your card looks fantastic, love the cute shaker idea! Very pretty card, I love the little shaker.